A big thanks goes out to all who attended the 48th Annual Pitt Jazz Seminar and Concert. The 49th Annual Pitt Jazz Seminar will be from October 28th to November 2nd, 2019. Internationally-recognized jazz legends will take part in the 48th Annual University of Pittsburgh Jazz Seminar and Concert, which kicks off Oct. 29 and runs through Nov. 3. 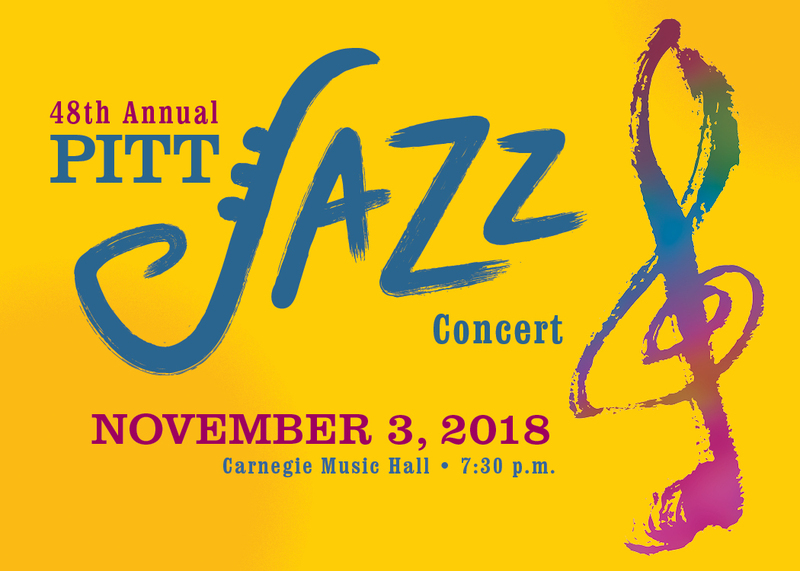 Jazz Week culminates with the 48th Annual Pitt Jazz Concert at 7:30 p.m. Nov. 3, at Carnegie Music Hall, 4400 Forbes Ave., Oakland. Guest artists this year include: JD Allen, saxophone; Andy Bey, vocals; Joey DeFrancesco, organ; Orrin Evans, piano; Billy Hart, drums; Ingrid Jensen, trumpet; Sean Jones, trumpet; Tineke Postma, saxophone; Reginald Veal, bass; and Mark Whitfield, guitar. Musical direction is by award-winning drummer, composer and producer Terri Lyne Carrington, who will also be on campus Nov. 1 to deliver an evening seminar. Jazz Week begins at noon on Monday, Oct. 29, with a free performance by the student-based Pitt Jazz Ensemble at the William Pitt Union Lower Lounge, 3959 Fifth Ave., Oakland. Day and evening seminars by the visiting guest artists will take place throughout the week at the Frick Fine Arts Building, 650 Schenley Drive. There will also be a talk and performance at the Hill House Association’s Senior Center, 2038 Bedford Ave., Hill District. Tickets are available through the University of Pittsburgh Stages Box Office, by calling 412-624-7529, or visiting music.pitt.edu/tickets. In advance: orchestra/floor $30, general $25, student $10. At the door: orchestra/floor $35, general $30, student $10.